Simple change (ergo cd..) the work directory in Command Prompt in each Tab-View, in the ColorConsole! (Image-1) Change the Directory in each Command Prompt View! 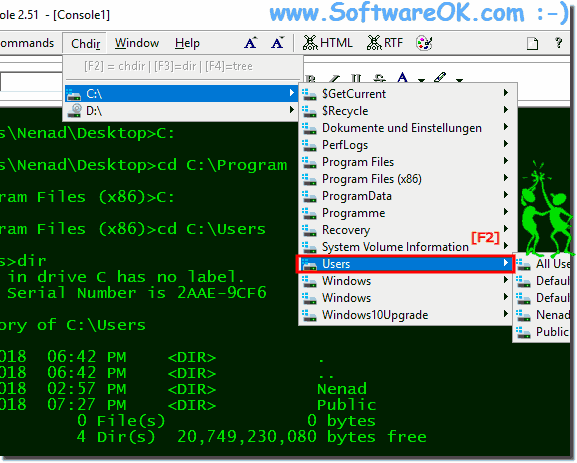 ColorConsole - FAQ-3: Change the Directory in Command Prompt Tab-View! Who needs the alternative cmd.exe and why?